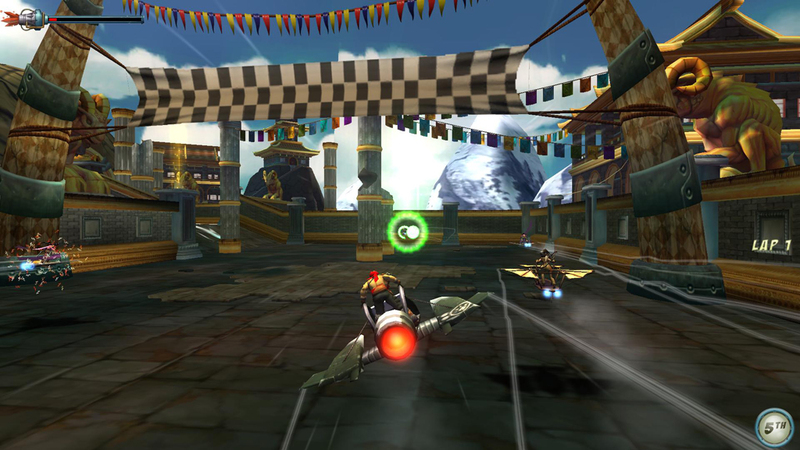 Facebook and the iOS platform get a cute action game that lets you race Glidewings with steampunk style. Facebook games have largely been turn-based affairs that focus on time-wasting at work. 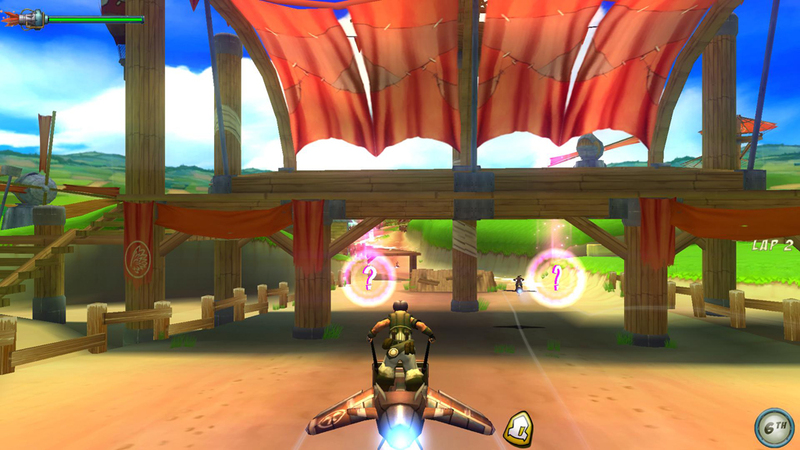 Now though, action has gotten a firm hold on the stick with the independently developed Sky Pirates of Neo Terra setting sail this fall. Day 21 Studios in Vancouver, BC is gearing up to launch the original IP with characters designed by Canadian comic book artist Camilla d'Errico on both Facebook and iOS. "Thanks to Facebook and other social networks we are in a new golden age of gaming; our mission at Day 21 Studios is to build interactive experiences that involve players both inside and outside the game," said designer Sean Megaw. "For example, if you win one of our Great Race tournaments we will draw your personalized character right into the web comic series ... ultimate bragging rights." 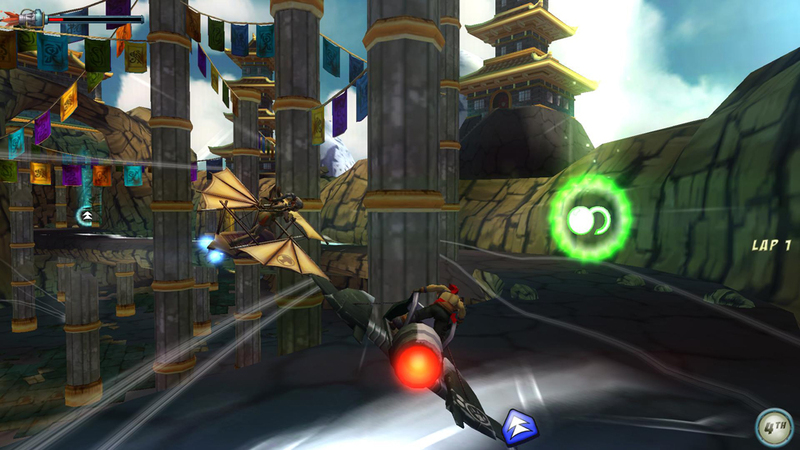 Sky Pirates of Neo Terra allows you to choose a racer from 14 different tribes to race rocket-propelled vehicles called Glidewings in order to beat the Pirate King. You see, in Neo Terra, if someone wins the annual Great Race five times in a row they are able to choose the leader of the Great Tribal Council. The evil Pirate King has won the last four races so the stakes are pretty high for one of the good guys to win this year's race. Choosing political figures based on an incoherent race between characters wearing ridiculous clothes propelled by hot air? Sounds like an American election year to me. 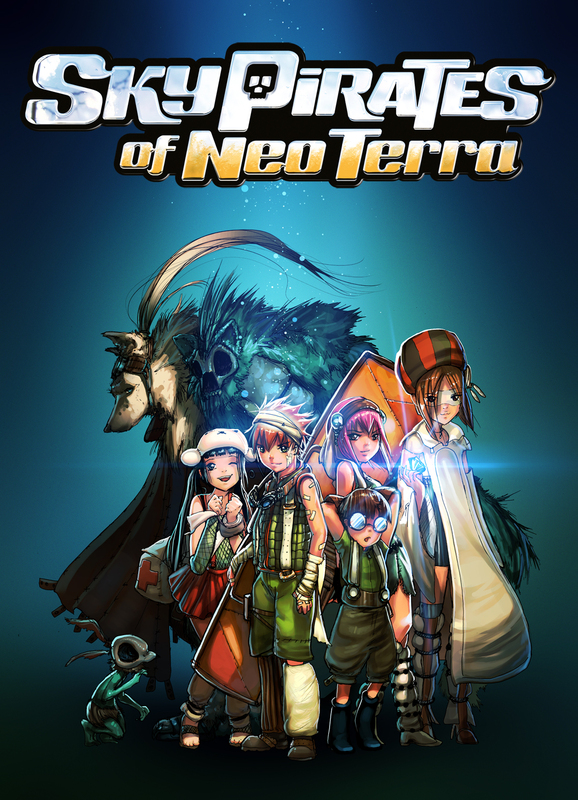 The world of Neo Terra seems to have a deeper background than most casual games. 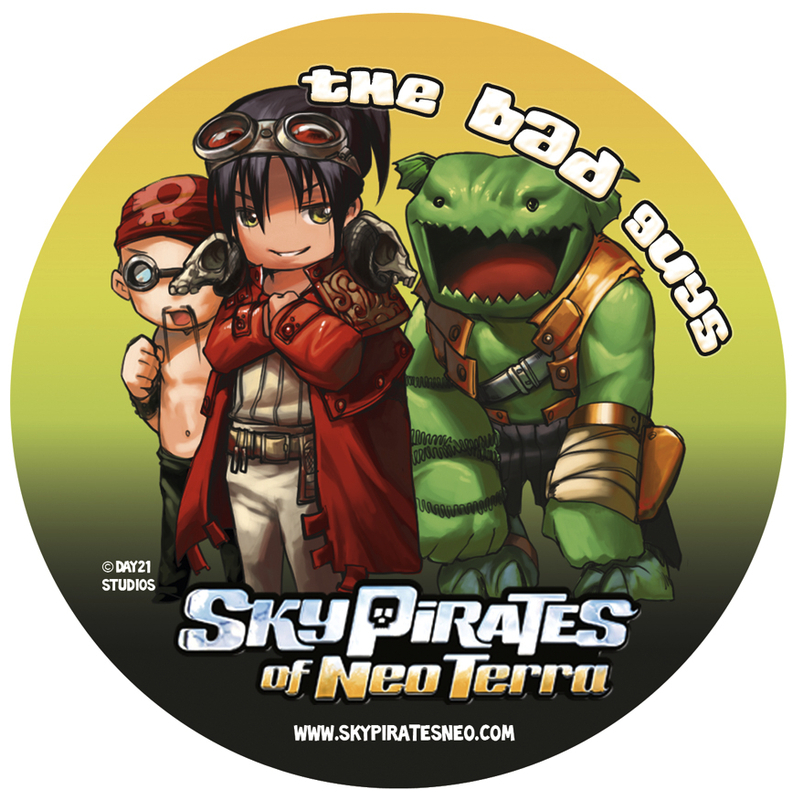 At least, not even popular games like Plants Vs. Zombies or Angry Birds has a 129-page graphic novel set in their universe like Sky Pirates of Neo Terra does. I suppose FarmVille is getting a movie adaptation, but I'll believe that one when I see it. 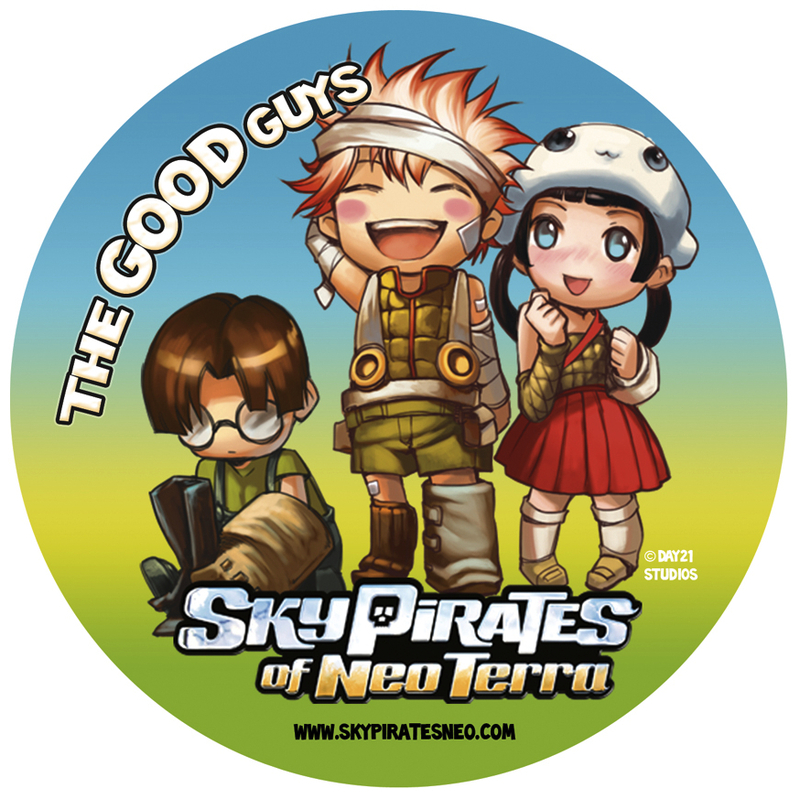 Head over to the Sky Pirates website to learn more about the 14 tribes and maybe sign up to win some of Camilla d'Errico's original artwork. Looks awesome. Well, in context at least. Looking forward to giving it a spin later on. This looks interesting. I might have to give it a try when it comes out. What's this, a Facebook game I actually want to play? Something is afoot. In all seriousness though it looks like it will actually be a fun game. 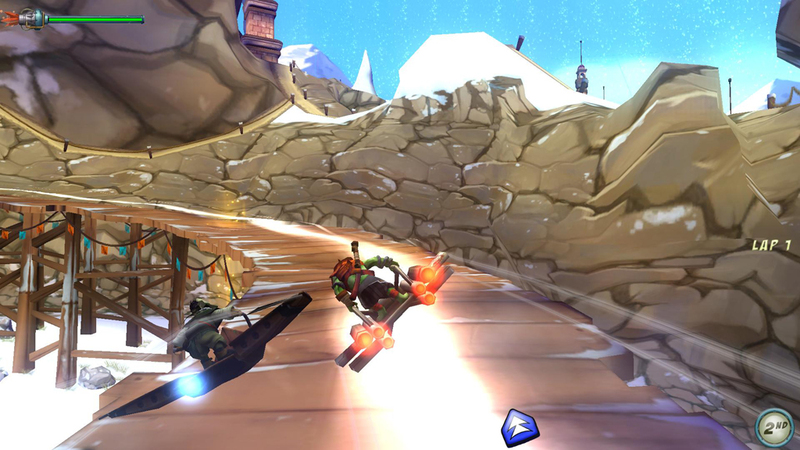 I'm hoping it's more than just racing against other people that the screenshots seem to suggest.